Home or business owners with multiple projects are eligible for discounts. Rely on North Coast Roofing for all your roof repair and home improvement needs. No matter the exterior or interior remodeling project you have in mind, our team is up for the job! We are experienced and properly equipped to deliver the quality results that you deserve. Put our word to the test and hire our team to take care of all your construction needs! To learn more about what we do and how we can help you, please take the time to view the full list of services we offer. North Coast Roofing also has a 60-foot-long dump trailer available for rent. This is ideal for hauling debris and used material after a roofing or any kind of construction service. 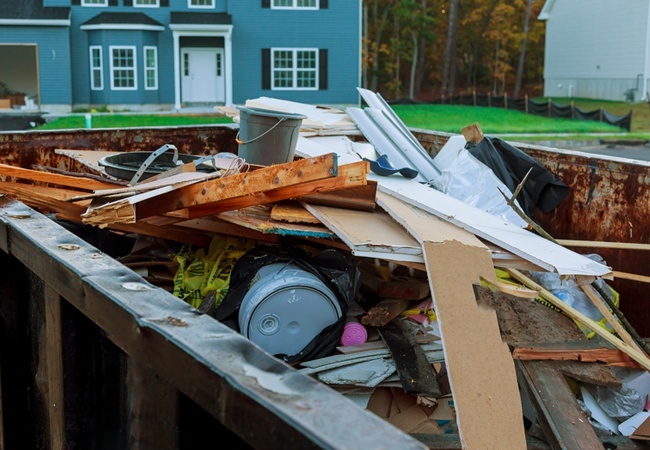 With our heavy-duty dump trailer, debris removals and post-construction cleanups are as easy as they can be! Need Roof Repair? Call Us! Leaking roof? Don’t wait for a simple roofing problem like that to turn into a major dilemma. Call North Coast Roofing right away, and let our professional roofers provide the repairs you need. To schedule an appointment with our team, simply reach us via phone, email, or through this website. Our friendly staff will assist you with your needs.